Dysport® | Donald Altman M.D. Frown lines are caused by a number of factors. Over time, repeated movement of the facial skin by the brow muscles forms lines between the eyebrows. Frown lines are “dynamic”—they happen because of the way a person’s face moves. 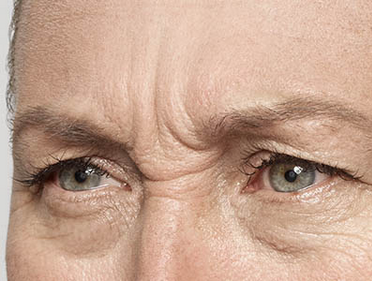 Contrary to popular belief, frown lines are not always caused by age. Age is a factor, but repeated facial movements, such as frowning or squinting, can also create frown lines, which means they may develop even in younger adults. 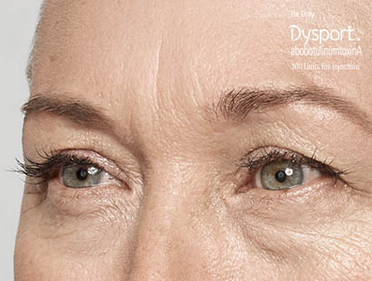 Prescription Dysport temporarily improves the look of your moderate to severe frown lines without changing the look of your whole face. The untreated facial muscles still work normally, allowing you to freely show facial expressions. So now your eyes will tell your story, instead of revealing the lines between them. Click here to learn more about Dysport.